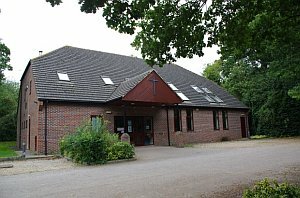 The Berkshire Surrey Borders Circuit is part of the South East District of the Methodist Church and was formed in September 2012 after a reorganisation of churches in the area. The South East District includes churches in parts of Berkshire, Hampshire, Kent, Surrey and Sussex. 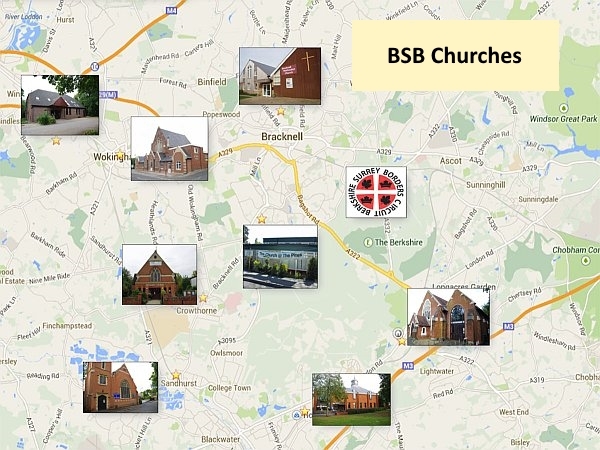 There are eight churches in the circuit, Bracknell, Wokingham, Woosehill, Church @ Pines,, Crowthorne, Bagshot, Sandhurst & Yateley, and High Cross Camberley. Winkfield Row church closed in April 2018. Revd. Jackie Case is the Superintendant Minister assisted by Revd. Catherine Bowstead and Revd. Sharon Gardner. Full details of our ministers are on our Ministers page. The eight churches in the circuit are located as shown on the map. Further details on the churches, service times and contact details can be found on our Churches page. Download the latest circuit plan for details of services. More information for Preachers and Worship Leaders is available on our Preachers Info page.